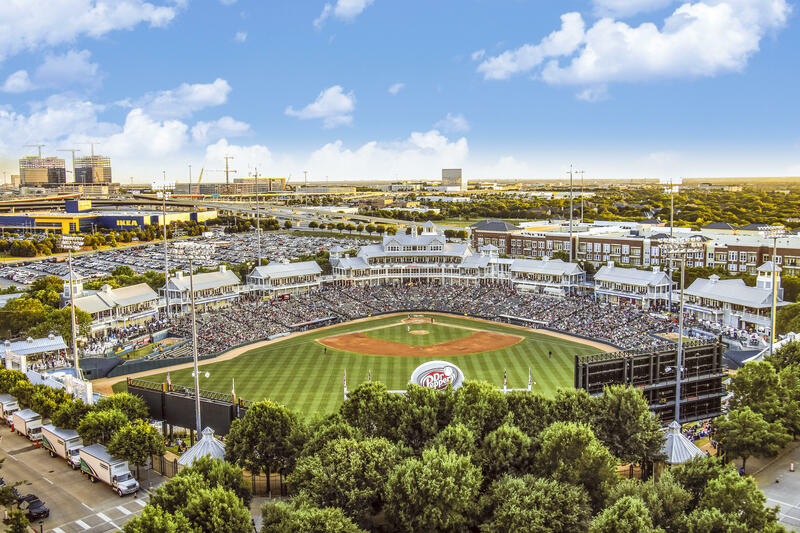 The Frisco RoughRiders, a Class AA affiliate of the Texas Rangers, were the first professional sports franchise to see the potential of Frisco, at a time when the sleepy town had more cows than people. 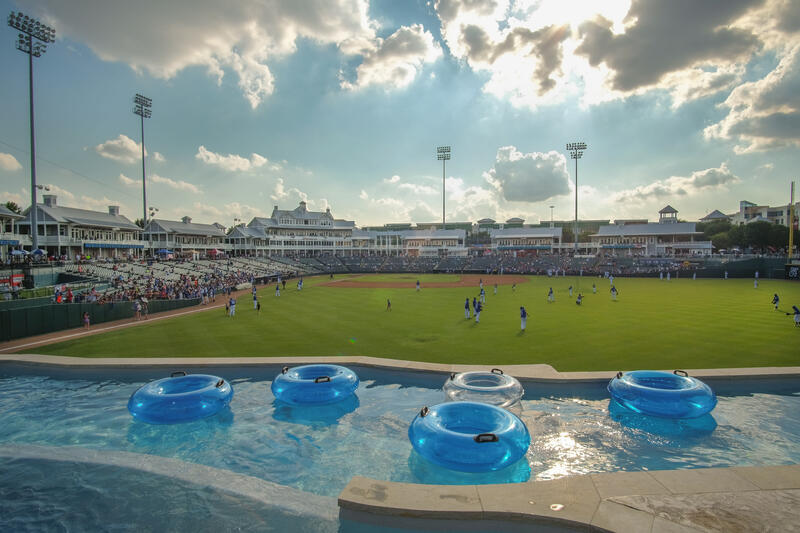 The RoughRiders’ 74-acre Dr Pepper Ballpark opened in 2003 to accolades from baseballparks.com as the “best new ballpark in baseball.” But just as importantly, Ballpark Digest awarded the stadium “Best Ballpark Improvements” in 2008 and “Best Ballpark Renovation” in 2015. Community leaders have continually reinvested in the ballpark since its opening, about $36 million in total. In the last three off seasons, the city has invested $8 million in renovations, which has been transformational for the team and for game attendance, said Chuck Greenberg, general partner and CEO. He lauded Frisco for keeping facilities fresh and up-to-the-minute. 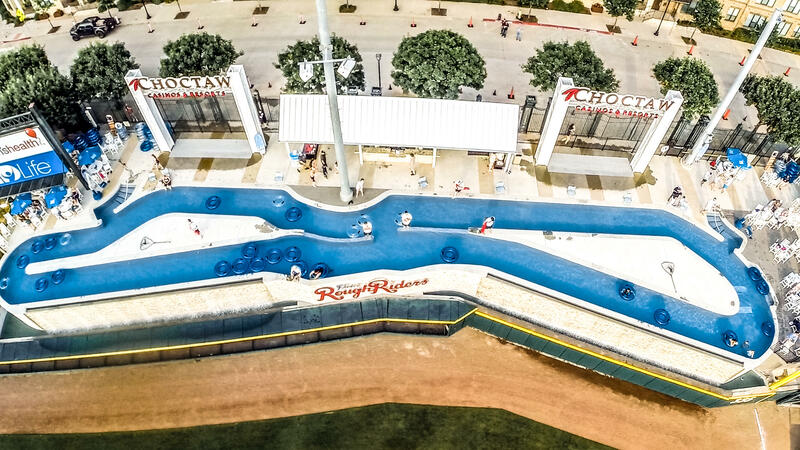 The ballpark’s masterpiece is the 174-foot-long Choctaw Lazy River, a one-of-a-kind experience in all of professional sports. 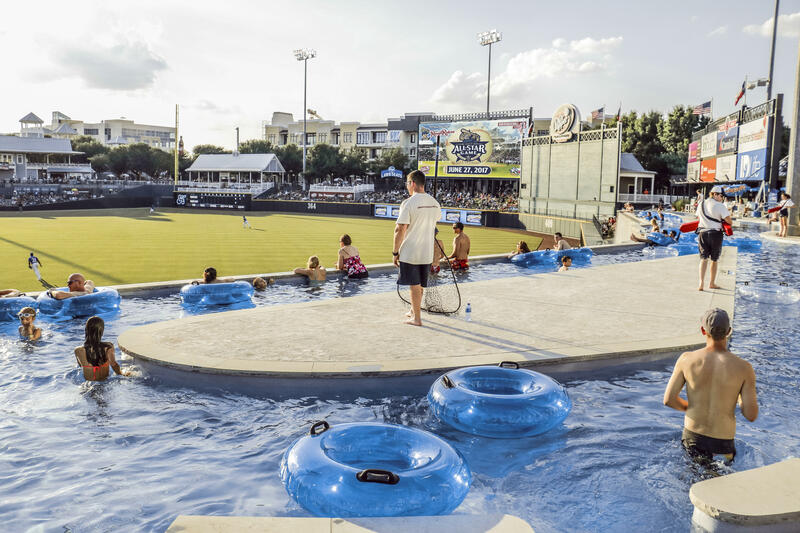 The lazy river winds its way outside right field, making it possible for fans to watch baseball while tubing. In addition to the vaunted Choctaw Lazy River, the ballpark has added the Bull Moose Saloon Sports Bar, the InTouch Grille, a new team store and a state-of-the-art “road to the show” wall. Installing the best video board and sound system available has extended the ballpark’s use for activities such as movie nights. 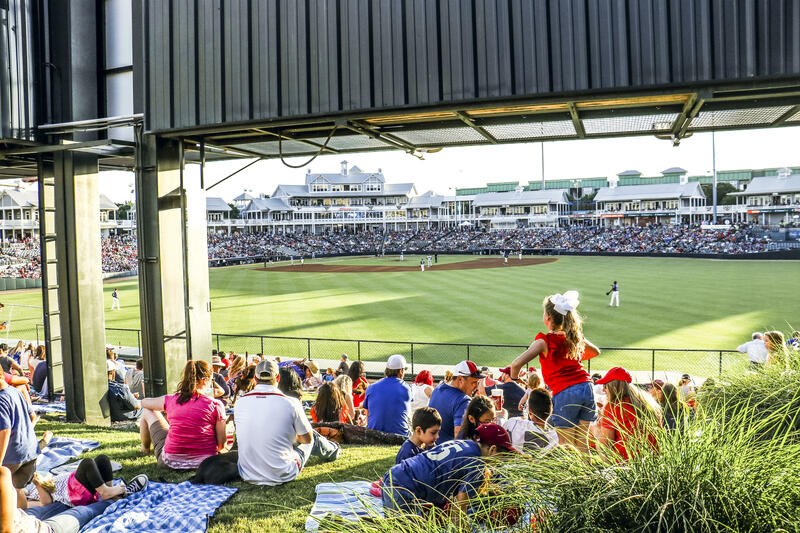 Dr Pepper Ballpark is a hub of activity for residents. The RoughRiders sponsor youth baseball camps and clinics all summer long. They organize Yoga in the Park and award college scholarships. They create art contests and host food bank drives. And the RoughRiders have established educational tools and awards for local teachers.